A Bird Hunter's Thoughts: Bandit makes the big leagues!! 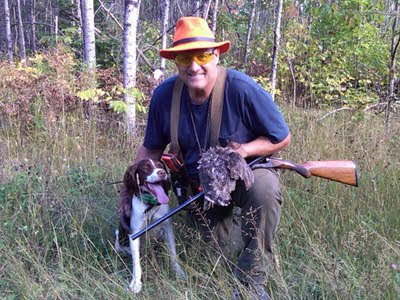 For a bird dog, Ruffed Grouse is the Bigs. The true King of Gamebirds in difficulty to hunt and bag. Today, the porcupine loving, shaggy-eared, short-tailed, son of Julia's Flyboy Ace became a dog. No more slack, Bird Dog. Hey Sam, you have a good (maybe great) dog.